The award will be conferred during the Kovacs 2016 meeting in Paris in June. This award is prestigious. 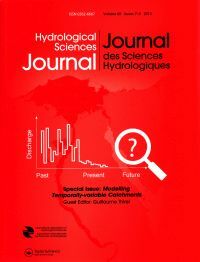 A 1000 US$ prize is allocated, to be shared between the awardees, sponsored by Taylor and Francis the publisher of Hydrological Sciences Journal. Our congratulations to the eligible authors.